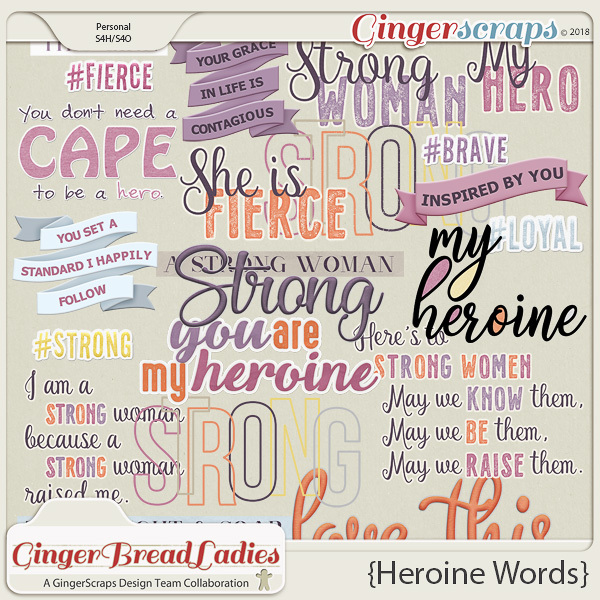 Heroine is the newest MEGA collab by our GingerBread Ladies! As always with any MEGA Collab it is HUGE! 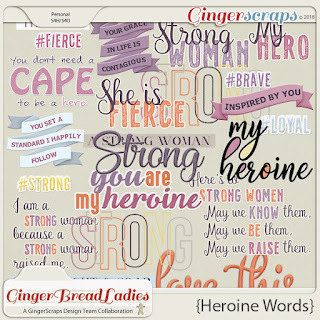 This collab was created to honor the Heroine in your life. With the soft color palette and hints of shabby chic designs this collab is also very versatile for a wide variety of scrapbooking needs.